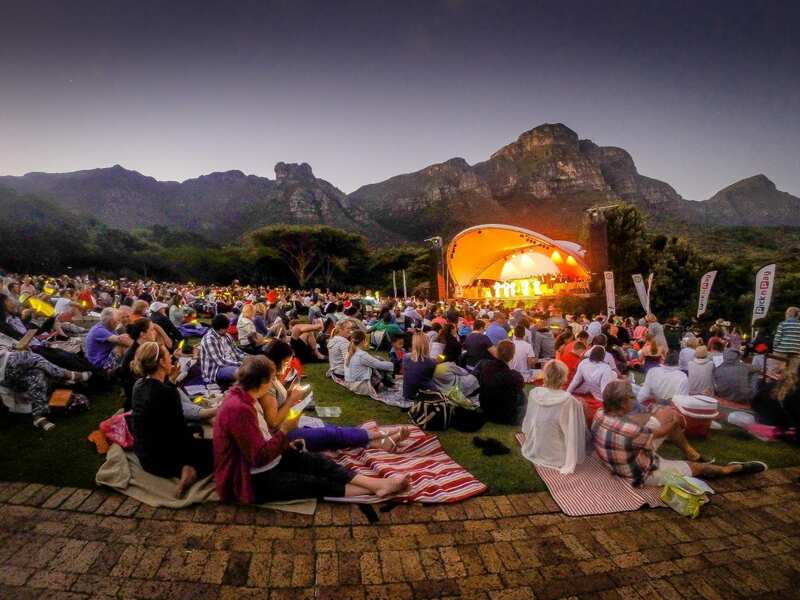 City’s iconic Kirstenbosch Carols event ramps up offering for its 30th anniversary | Eat. Play. Drink. Cape Town. NOTHING says it’s the festive season quite like Christmas Carols do, and this year the popular Cape Town Carols at Kirstenbosch promise to be the most festive yet, as the event celebrates its 30th anniversary. Taking place from Thursday, December 13 to Sunday, December 16, the event is hosted by the Rotary Club of Kirstenbosch and sponsored by Pick n Pay, and as always, visitors can expect their favourite festive singalongs, deliciously festive food and thousands of glowsticks lighting up the evening sky. For the first time this year, there will be an extra dose of yuletide spirit, thanks to the addition of pop-up Christmas themed-stalls, where visitors can browse Pick n Pay’s 2018 Christmas range, including everything from fun festive headgear and stockings, to stocking-fillers, tree decorations and more. But be sure to get there early – stalls open at 6pm and close when Carols begin at 7.45pm. And in the spirit of Christmas, Pick n Pay is offering to make your entire experience hassle-free, so all you need do is come with your picnic blanket: pre-order a perfect picnic for two, comprising a selection of delights which you collect when you arrive. If you prefer to decide what to eat on the day, the PnP food truck will be serving up a yummy range of options to tuck into. On the menu are king-size burgers, festive gammon rolls, and as a veggie option, a tasty mushroom and brie burger with cranberry sauce. Two coffee stations will be serving a selection of coffees and hot beverages, in addition to hot dogs, mince pies, cupcakes, crisps and chocolates, mini candy canes, biltong, doughnuts and water. Please note that wine will NOT be on sale at the event, but you’re welcome to bring your own. 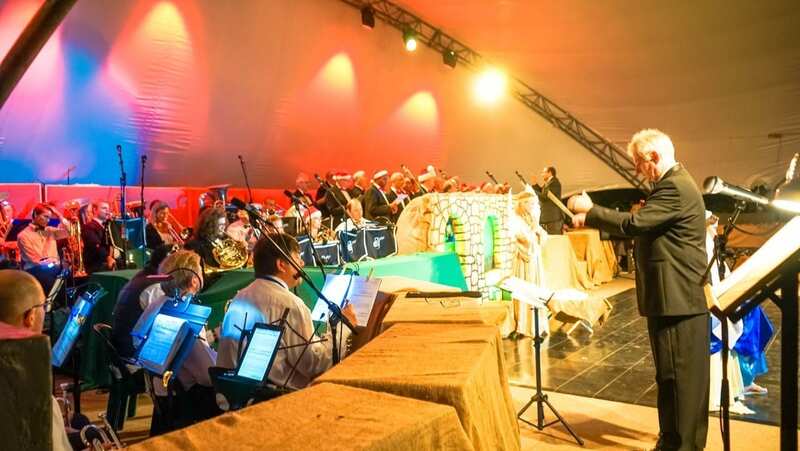 Carols will be led by Cape Town Concert Brass and the Cape Town Male Voice Choir. Your support of this event enables Rotary International to assist communities across the Western Cape in a wide range of community-based programmes, including youth-leadership development, civic-responsibility and various health programmes, specifically those around cancer awareness. These are in addition to programmes dedicated to feeding schemes, numeracy and literacy, early childhood development, elderly support, water-saving and sanitation awareness. Rotary Club of Kirstenbosch thanks Pick and Pay and patrons for their continued and valued support. Tickets are available from www.webtickets.co.za and at all Pick n Pay stores nationwide. Prices include a glowstick and a song sheet. • Gates open at 6pm: Please ensure you arrive early to secure your place and browse the new Christmas-themed pop-up stalls. • Carols begin at approximately 7.45pm and are finished by 9.30pm at the very latest. • Adult picnic for two (R195): whole baguette, cheese selection, hummus, pepper dew dip, Parma ham, crisps, brownies, and water. • Children’s picnic for one (R45): PnP juice, PnP puffs, Christmas choc mallow and a hot dog voucher redeemable at the event.